Posted on December 28, 2017 December 28, 2017 by John Novosel Jr.
It’s Adam Robinson being ‘interviewed’ by Tim Ferriss. The quotes Adam lives by are solid gold and they are a perfect way for you (and me) to think about the new year. I’m going to dissect these and how they apply to golf and how to use them to turn this year (2018) into ‘a big deal’ (spoken with Gru accent). Let me give you two examples of how this works. When they interview Justin Thomas for what he will do for 2018, he (and most all pro’s that are having a great year) says, “I’m going to just keep doing what I’m doing”. That makes sense, because he won a Major, the FedEx Cup, a jillion dollars, and I’m sure some other things as well. What he’s doing is, well, it’s working!! Make 2018 the year YOU GET WHAT YOU WANT! Here comes Shameless Plug: I just happen to have the program to help you GET WHAT YOU WANT. It’s the Tour Tempo VIP Golf Schools and brand new for 2018, we are launching the online version, check the video to find out more about our VIP Training Philosphy. Golf Strong in 2018 ! The SpeedBall gives you ‘Resistance for more Distance’ and you don’t have to change your swing. The Power Tools Iron gives you lag and tempo. The Power Whip creates lag and the feel of compression. Tour Tempo literally pours the rhythm and timing of the tour pro’s right into your brain. He has worked with his father to develop the concepts of Tour Tempo® and also has co-patented 4 training tools with his father. 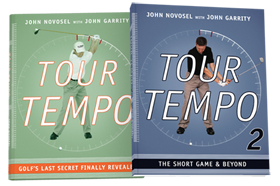 He has presented the concepts of Tour Tempo® all over the world. In 2008 he presented to the PGA of Sweden. Later that year he presented at the World Golf Fitness Summit. In 2011, he made the trip to Amsterdam where he was part of the PGA of Holland’s coaching summit. He most recently made the trip to Orlando, FL to present at the 2013 PGA of America Teaching & Coaching Summit. 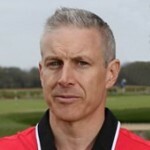 He is certified with the Titleist Performance Institute as a Golf Fitness Instructor I, Golf Professional 2, and Golf Biomechanist 2. Also, he is certified with SSC Golf Swing as Level 1 Speed and Power Instructor and Level 2 Spine Engine Instructor. Privacy protected & never share email.